Posted on July 27, 2014 by Kate. 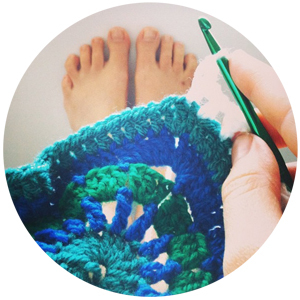 This entry was posted in Creativity, Living, Photography and tagged Bikes, Crochet, Painting, Photos, Volunteering. Bookmark the permalink. ← I’m back! And things will be a little different around here.